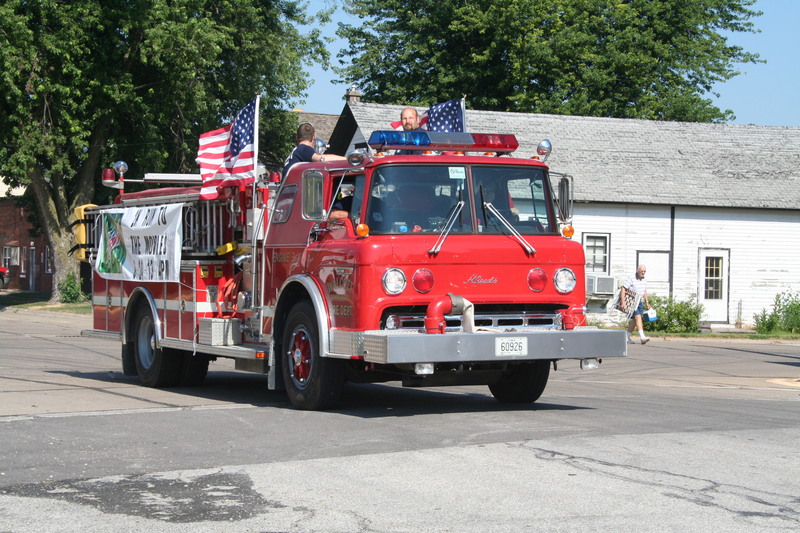 A Walcott pumper heads to the recent Walcott Day parade. 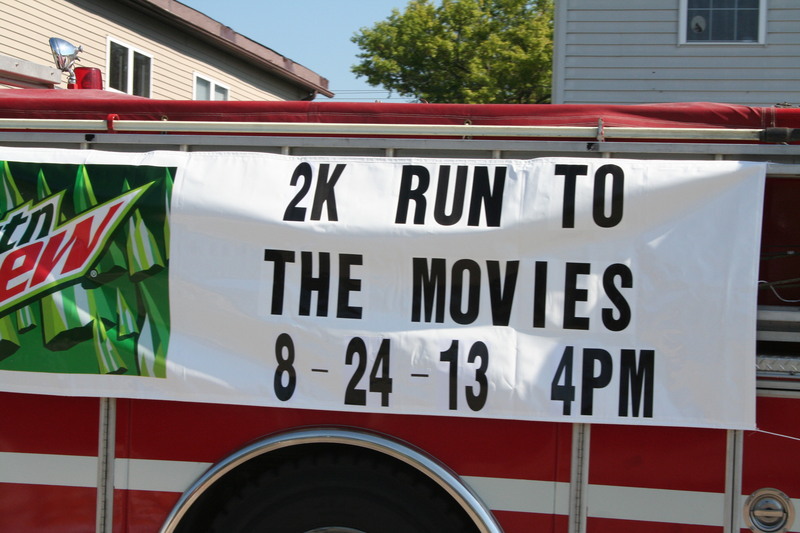 It’s carrying a banner advertising the WVFA’s “Run to the Movies.” A closeup follows. Phil Roberts photos.